Japan still has an imperial family. The role of emperor is highly symbolic when it comes to ruling the country. Emperor Akihito, is the highest authority of the Shinto religion. 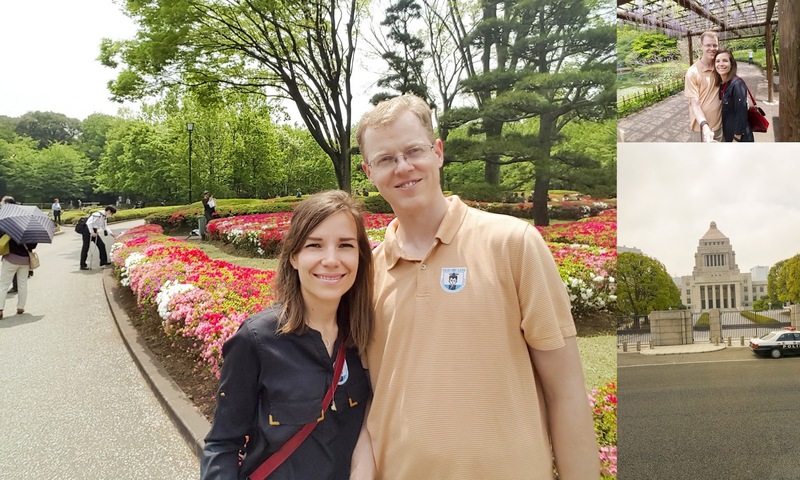 The imperial family resides in Imperial Palace located in the heart of town, not far is the National Diet Building where the House of Representatives and House of Councillors meet. 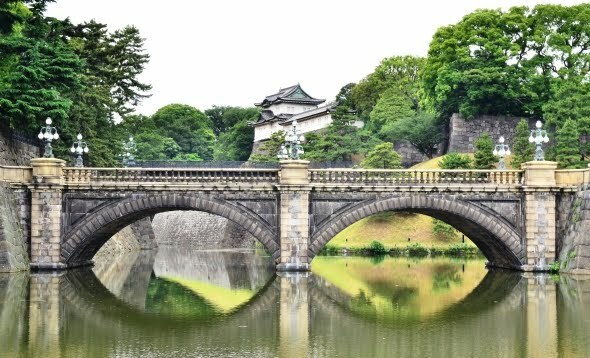 The Imperial Household and other buildings are surrounded by a lush estate and separated from the road by a 5 mile long moat. They are not visible by visitors. The East Gardens are accessible everyday except Monday and Friday. We were fortunate to schedule our visit on a Saturday so we were able to access the grounds. 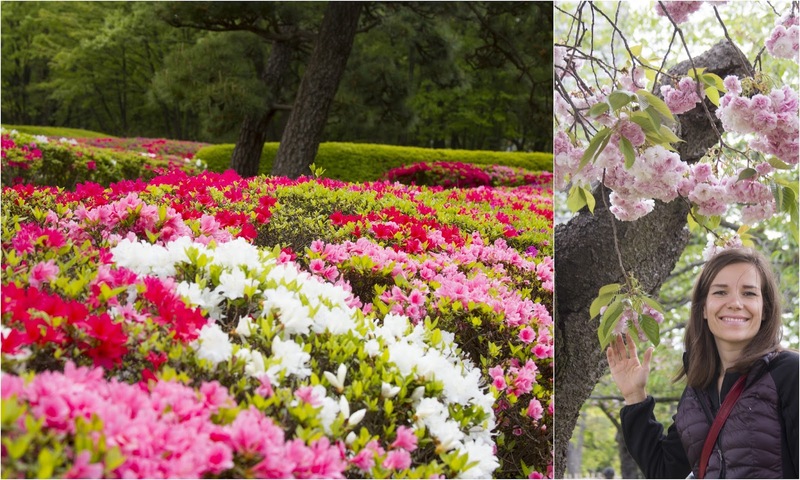 Japan is famous for its blossoms at the end of March and beginning of April. Our trip was in late April so we weren't able to enjoy the blossoms in full bloom in the city. There were still several trees in bloom through out the city and a lot more near mount Fuji where the temperatures were a lot cooler. While there azaleas and wisterias were beginning to bloom coloring the gardens in shades of pinks and purple. Blooming azalea bushes were ubiquitous through out town in hedges along sidewalks and street dividers, shopping centers and gardens. They were really beautiful to see.